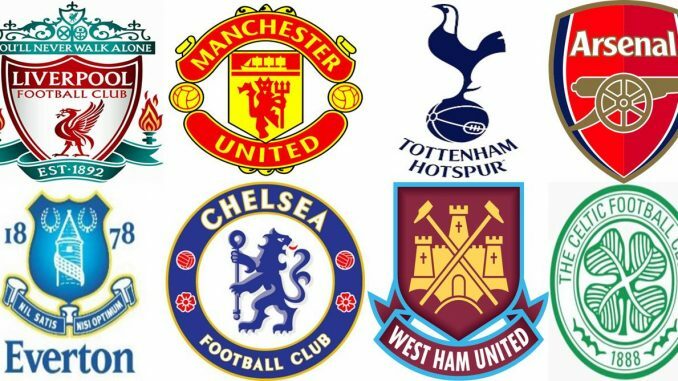 English soccer fans frequently claim things like “anyone can win the Premier league.” I’m not sure where they are getting that idea when for the last 2 years a single team has run away with the league by mid-season. No English teams have been in the Champions League final over the last 5 years. In fact, since 2000, Spain has won the CL 9 times and England only 3 times. You would think that since English teams pay the highest average salaries and they have more billionaire team owners than any other country that English teams would have better results, but the ball doesn’t lie and English teams are having inferior results compared to Spain, Germany, and even Italy in the European Champions League over the past 5 years. EPL fans use the fact that bad teams beat good teams in England as reason that makes English teams better and the EPL the best league in the world. However, if you think about it logically, if a bad team beats another team, that just means that the losing team is really not that good. So by that logical proof it just means the best teams in England aren’t really that good if they are losing to teams know to be inferior. The Champions League results also prove this. Since 2000 Spain has won the CL 9 times and English teams have only won 3 times. That’s a 3 fold deficiency in the English game. Now if you combine that with the past 3 World Cup results for England where they could only tie the USA then you have a reality that doesn’t bode well for EPL fan boys. English soccer is a lot of hype and a lot of money. What do you get when you combine poor soccer with billions of dollars? You get negative soccer and fans that are totally out of reality when it comes to how good their teams really are. 9-3 the ball doesn’t lie. Also, last year it was a one pony show in England most of the year with Chelsea running away with it. This year it’s all Man City. I really don’t see how that’s any different than both Spain and France where one team seems to be the dominant team every year. But actually in Spain they have 3 teams who have been in the CL final in the past 5 years and Germany has had 2 teams. Actually in the past 5 years there have been 0 English teams in the CL final at all. That’s nothing to brag about. Even Italy has had more teams in the CL final in the past 5 years than has England. Combine that with the number of billionaires investing in EPL and you have a lot of fans scratching their heads and making up reasons why England should be considered anything but the ones who made up the rules over 100 years ago. In the past 5 years they’ve done nothing, actually. England might rate above France if France’s national team wasn’t so much better than England’s.